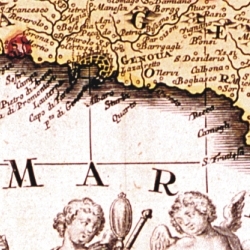 Description: Liguria from Ventimiglia in the West to the Dukedom of Massa in the East. 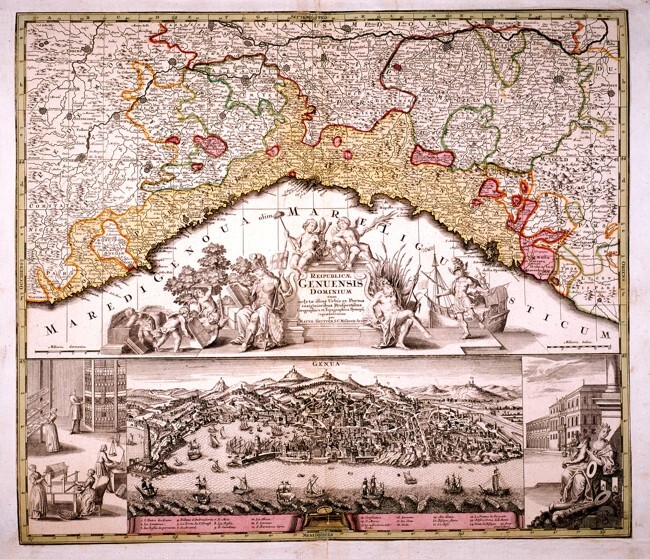 There is a very beautiful title picture in the centre and a splendid drawing of the town of Genoa at the bottom. This well-drawn map is an interesting geographical and historical document and measures 56,8 x 49 cm.